Turtle Beach has revealed the Recon 70, the company’s latest series of “powerful and affordable” wired gaming headsets. The successor to the Recon 50, it promises to deliver high-quality game audio thanks to powerful 40mm over-ear speakers. With a lightweight design that has a padded, adjustable headband and synthetic leather-wrapped ear cushions, the headset has been designed for the Nintendo Switch but works with any device that has a 3.5mm connection. The headset’s high-sensitivity mic can be flipped up out of the way to mute when not in use, blending into its overall design. “The Recon 50 has been the best-selling wired gaming headset in the U.S. and Canada for the past two years1, and the all-new Recon 70 builds upon its predecessor with a refined design and our great flip-to-mute mic, all for the same £29.99 price,” explains Turtle Beach CEO Juergen Stark. The Recon 70 is now available at Argos in the United Kingdom priced at £29.99, with broader availability in participating European territories set from April 1st. 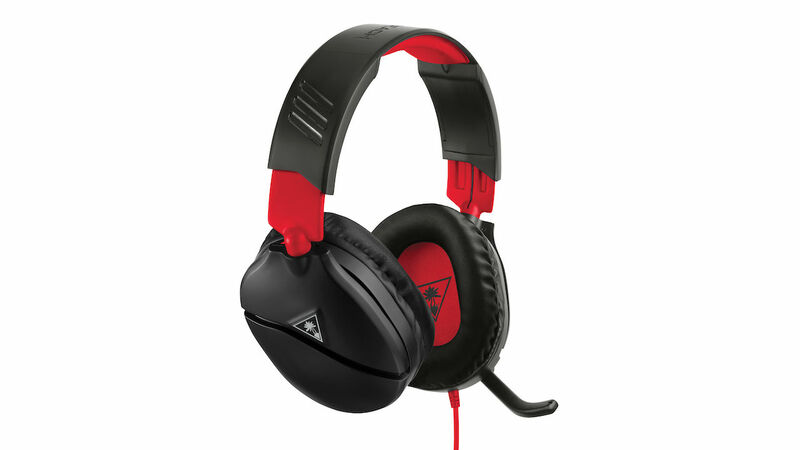 The Recon 70 midnight red version will launch at retail in late May.